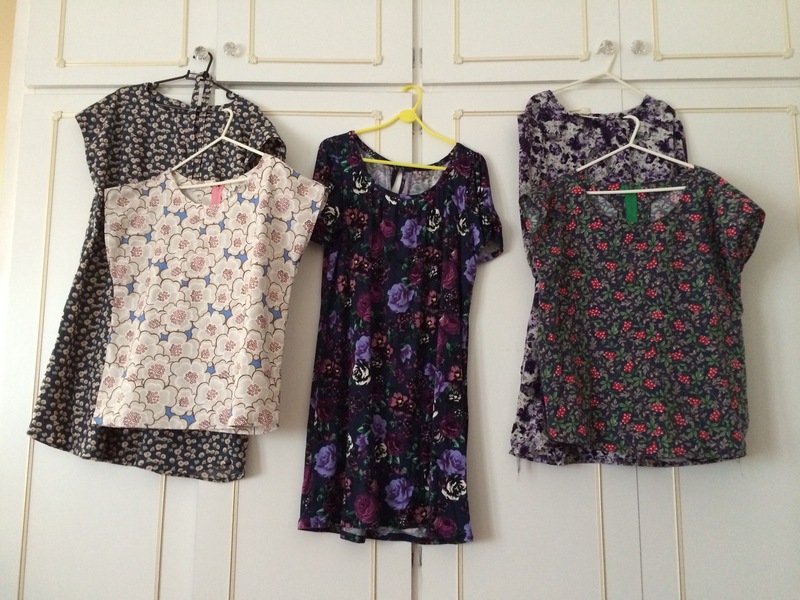 My second Sunday Sevens in a row rounds off a week of indulging in my newfound obsession with sewing, and particularly dressmaking. Once again credit to Nat at Threads and Bobbins in keeping me motivated and optimistic about my ability. 2. 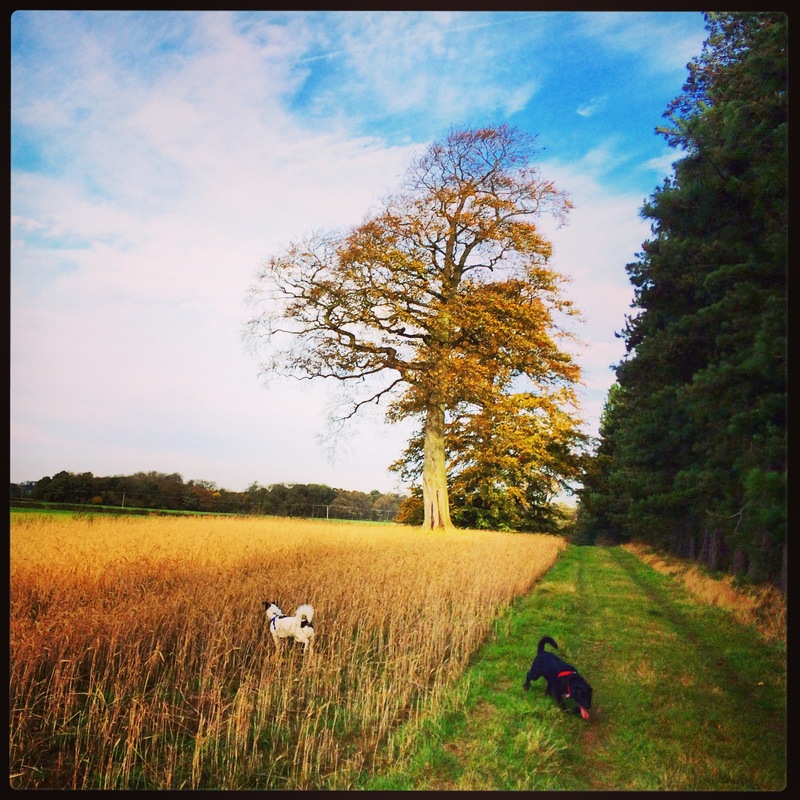 Half term means extra time for dog walks. 3. 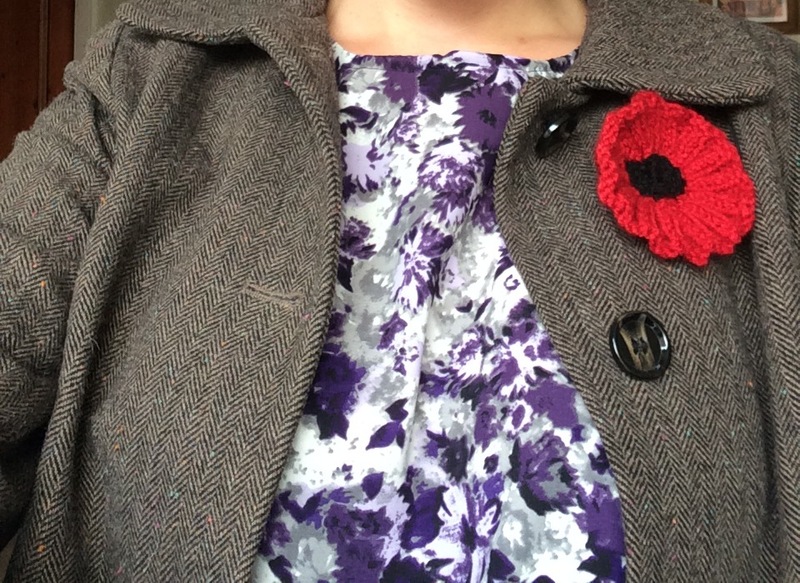 I bought a Remembrance poppy with a twist. 4. 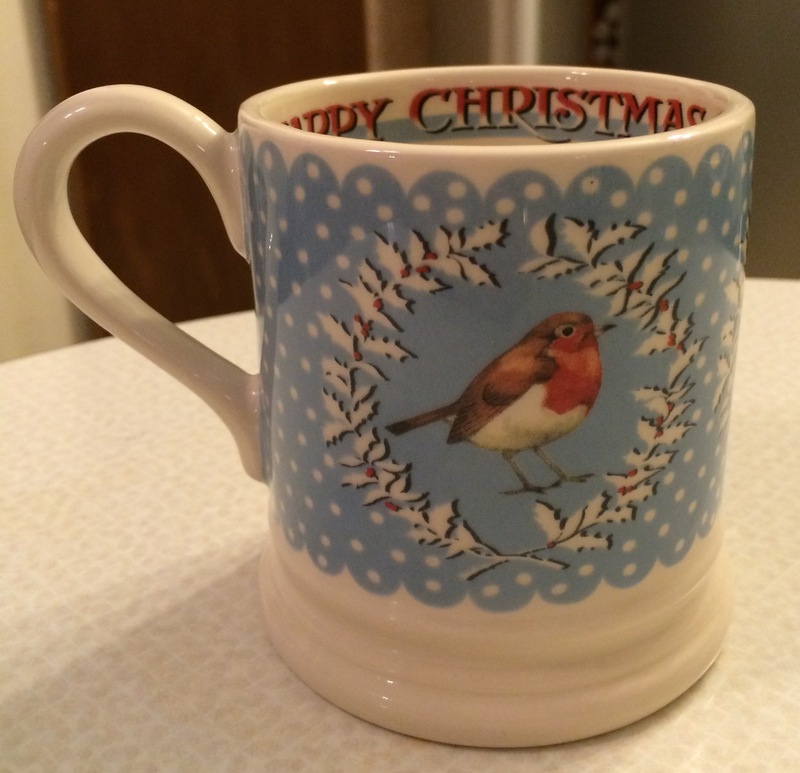 I got a new Christmas mug – complete with robin. 5. 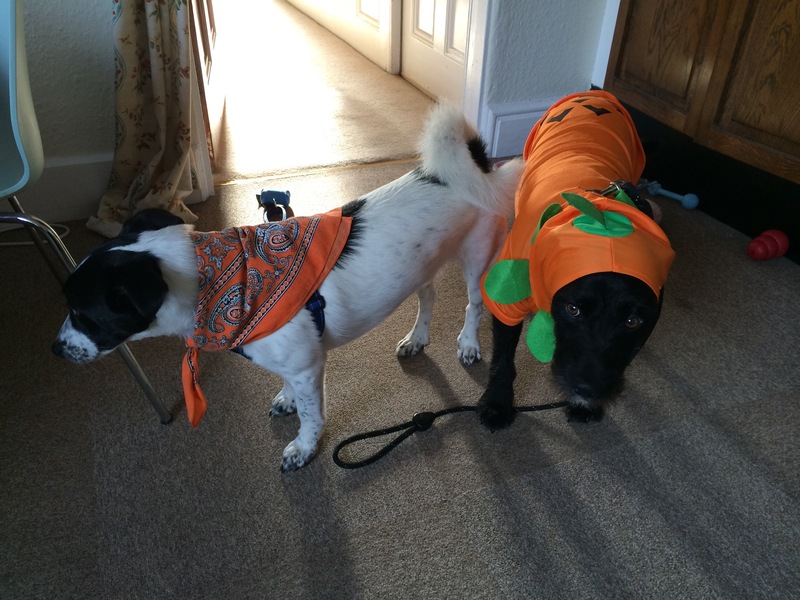 Dressed up the dogs for Halloween. Obviously. 6. 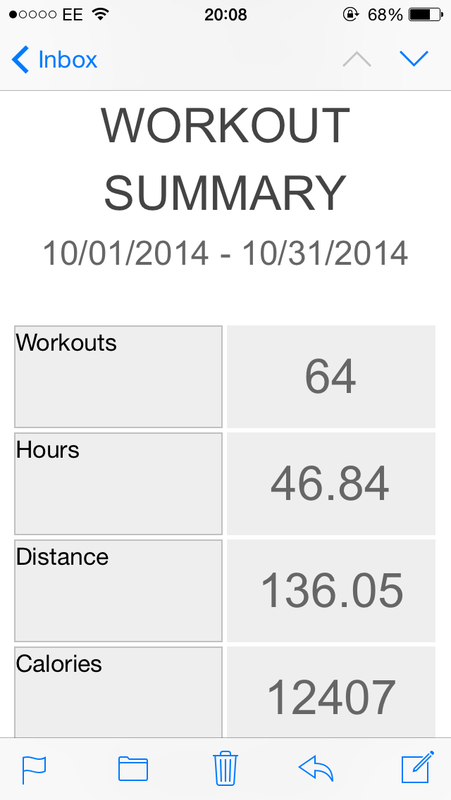 Exceeded my 100 mile per month walking target. 7. 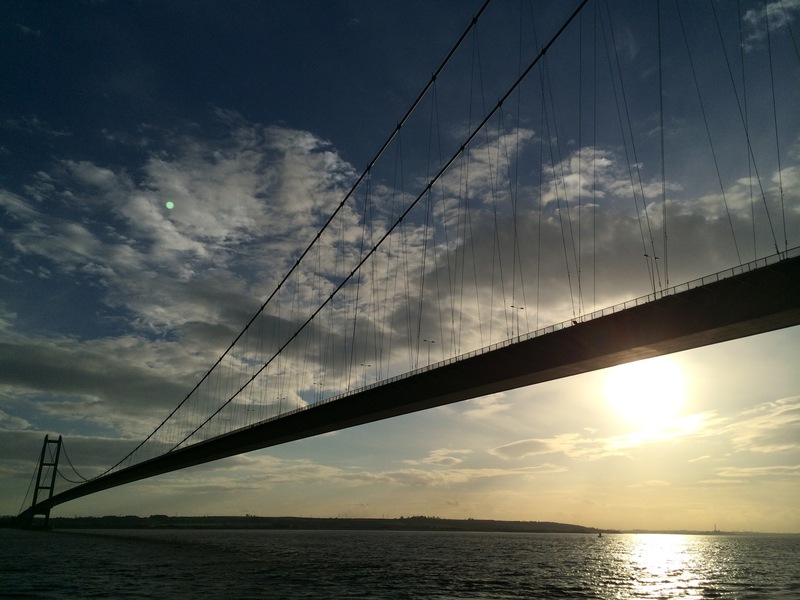 Went for a wander around Hessle Foreshaw in Hull. Not bad weather for November 1st. Thanks! I made 2 dresses and 2 tops this week, although also hoping to start something this morning 🙂 Have you had kids at home to entertain? Wow! Yes I have two daughters (one school age) so I’ve had to entertain them during the day, and by the evening I’m more tired! Much like a teacher’s term time life! I hope you’ve had a good week 🙂 It’s my new half term resolution to try and do at least some sewing during the week, normally I’m too tired too!